How to watch The Crew (2015) on Netflix Taiwan! Yes, The Crew is now available on Taiwanese Netflix. It arrived for online streaming on November 15, 2018. 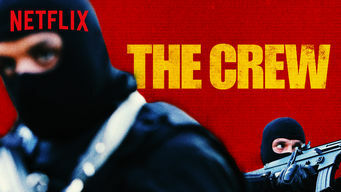 We'll keep checking Netflix Taiwan for The Crew, and this page will be updated with any changes. After an unexpected misstep, a crew of skilled Parisian robbers find themselves forced to carry out a daring heist for a powerful crime organization. When it comes to armed robbery, this crew is the best. But one small mistake may have just made this job their last.